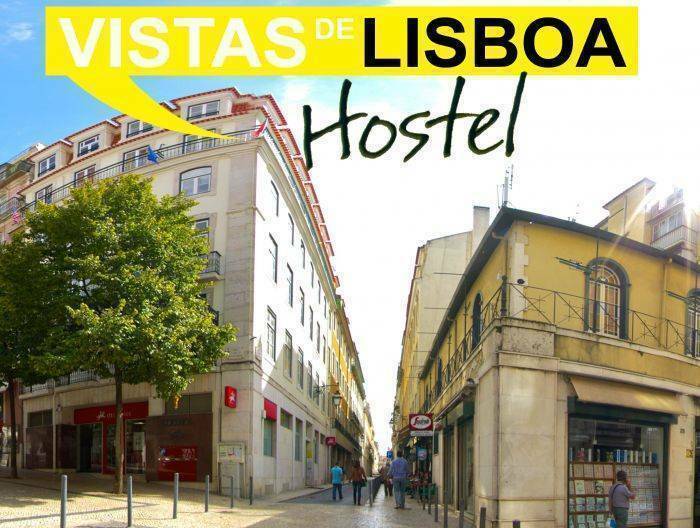 Welcome to Hostel Vistas de Lisboa, this is a New Hostel very well located, in the center of the beautiful city of Lisbon, near by some Historical places and Monuments. 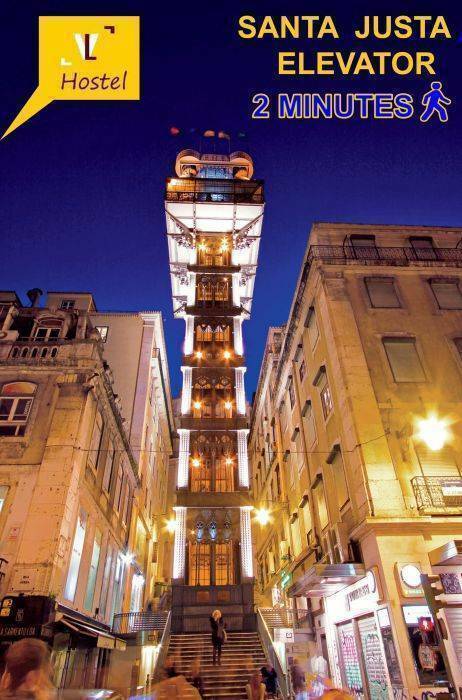 With the historical St. George's Castle in the background and Rossio square just a few steps away and Santa Justa Elevator next to, our hostel has the best location to explore this beautiful city. This Hostel has 8 rooms, 3 Double rooms and 5 Shared beds all of them equiped and decorated in order to provide you a nice stay. 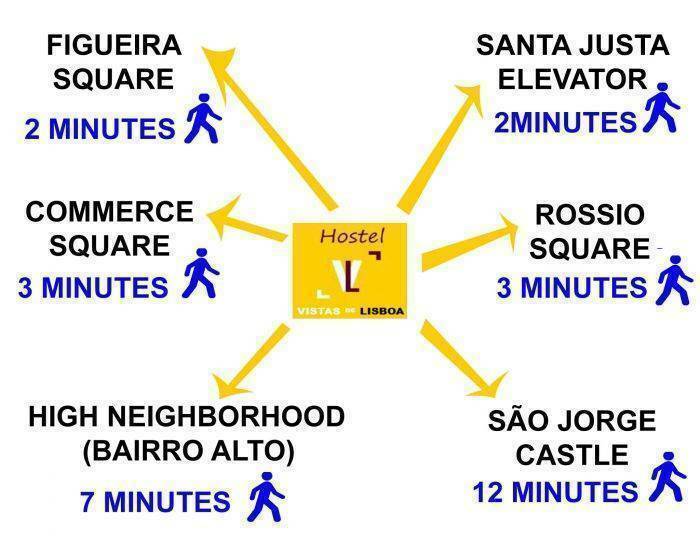 The location is great, you can reach every part of town by transports, also you can visit some historical places in a few minutes, like , Santa Justa Elevator, Gloria Elevator, the Figueira square is located in front of the street where the our hostel is, the Carmo Convent Ruins and St. George's Castel, Bairro Alto stays 10 minutes walking. To have some relaxing time you can visit also our beaches by public transports in 45 minutes. We have got 4 Double Bed Bedroom, and 4 Mixed dorms Mixed Dorms - 3x6bed dorms, 1x8bed dorm. 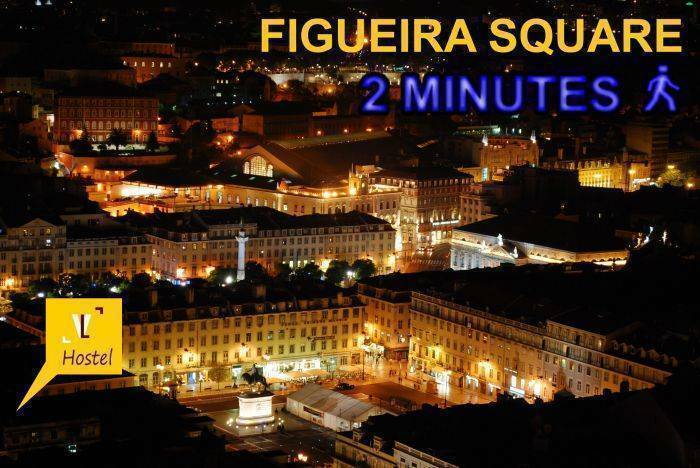 Rossio Square, Praca da figueira Sqr, Terreiro do paco, Bairro Alto. 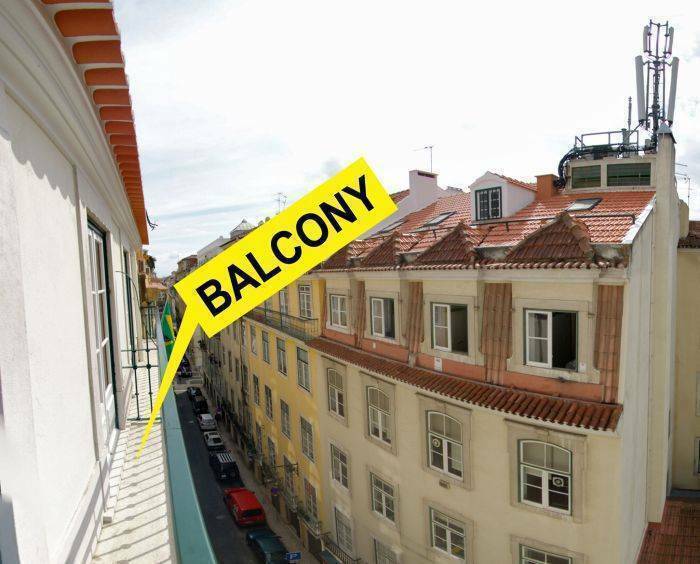 We stay near by the Rossio Subway station best way to find us is the praca da figueira exit, and Baixa-Chiado. Rua dos Douradores 178, 4th floor. 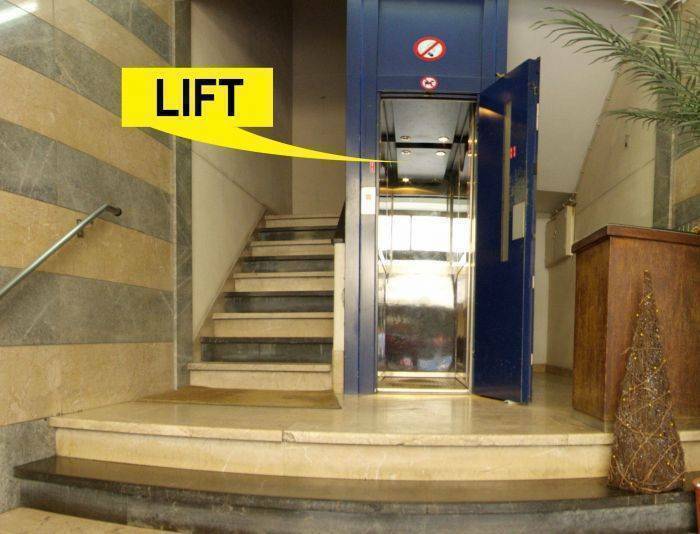 We have near by the tram line, bus line and subway all to historical places. Nearest airport: The Airport stays at 15 minutes by Subway(metro), if you want to go to the airport by taxi it will be like 15 minutes also, and the prince rounds 15€.